Welcome to the Birth to 22 Online Resource Directory! Please click here to see a video detailing the Birth to 22 project and an overview of how to use this service. Palm Beach County's human service partners and funders sponsored a Youth Symposium in 2013 to share information and identify actions and programs to support the healthy growth, development and education of children and youth from prenatal to young adulthood. Community leader's concerns were loud and clear when they made a strong recommendation to develop a database and resource assessment around nine (9) outcomes (as identified below) to ensure children/youth and their families receive the most appropriate programs/services by: leveraging technology to establish available community resources to include descriptions of programs, target populations and how to access the programs and services. This database, known as the Birth to 22 Online Resource Directory is a culmination of an electronic survey instrument that was administered to the county's twelve (12) major funders. 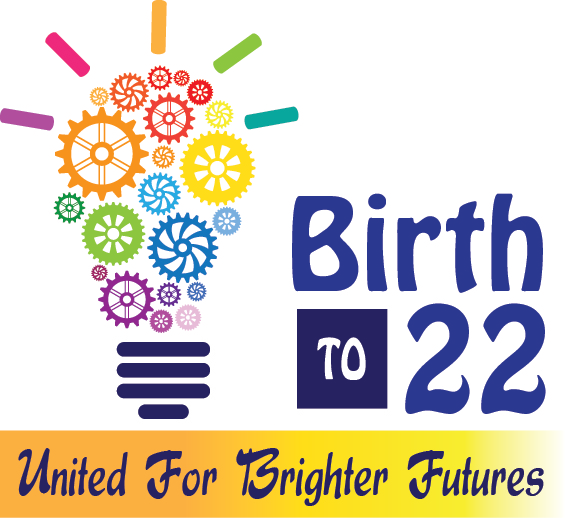 Birth to 22 United for Brighter Futures is also concerned with how programs and services supporting Palm Beach County’s children and youth support broader community and family outcomes that we are critical to their success. These community context outcomes are (a) Improve healthy, safe, permanent and nurturing environments and (b) ensuring effective parenting. Services and programs in the Birth to 22 Online Resource Directory may address both a youth as well as a community context outcome. Future growth and development of the Online Resource Directory will be in phases to include: further search optimization, reporting as well as research and add other youth service programs delivered by municipalities, community organizations, faith-based, Greek organizations, foundations, e.g. ; and recording of performance and evaluation data for programs along the evidence-base continuum. Birth to 22 Online Resource Directory Disclaimer: Resource/programs material enclosed at this time represent only those programs funded by Palm Beach County’s major funders AND those programs that address one of the nine identified Birth to 22: United for Brighter Futures outcomes as noted above. Birth to 22 provides no endorsement of any program or service included herein and as such cannot verify the quality of services. The Online Resource Directory serves as a catalog of services supporting children from birth to 22 and is not intended to be a comprehensive taxonomy of services or replace 211. Further, this Online Resource Directory was created to assist frontline professionals in the commission of their devoted efforts to serve all of Palm Beach County’s children. We strongly encourage you to visit www.211palmbeach.org if the Birth to 22 Online Resource Directory does not contain the specific program/service you seek.